IN A leafy suburb of Brisbane there sits a charming white wooden farmhouse and inside is a congregation of believers who wait patiently for intergalactic saviours from distant planets. 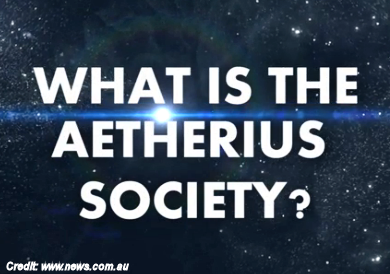 Aetherius Society, a growing religion that basically cherry picks from different belief systems from throughout the ages. They twist some details, add a New Age focus, and anchor everything in the teachings of founder George King, a Yoga-enthusiast-turned-author, who created the religion in the mid-50s after his own extra-terrestrial experiences. Of course, some of its claims are harder to swallow than others; most notably, that their “philosophy and teachings come largely from highly advanced intelligences from the higher planes of Mars, Venus, Jupiter and Saturn” — a statement on their official website. Rod told news.com.au that he views the Society as “a spiritual brotherhood, dedicated to healing and service to mankind”.